This page states the terms and conditions under which you use https://thesoullaundry.com website. Use of The Soul Laundry website constitutes full agreement with these Terms & Conditions are stated below. The Soul Laundry can only supply goods that are ordered online via the website, email, telephone or by appointment in person at our Milton Keynes office. All payments, including shipping costs, must be paid by credit or debit card using PayPal. Or cash if ordered in person. The Soul Laundry will not accept any other form of payment. All transactions are completed on a secure server and processed via Paypal. Shipping costs are charged according to geographical location, and items are shipped via Royal Mail Recorded Delivery Tracked and Signed. The Soul Laundry is not responsible for parcels damaged during shipping. The Soul Laundry is not responsible for international duties or taxes. All international duties and taxes in relationship to your order are the responsibility of the purchaser. Orders are collated and shipped at 3pm GMT Monday to Thursday. All orders received after 3pm will not be dispatched until the next shipping day. Orders are shipped via Royal Mail Recorded Delivery Tracked and Signed. Lead times vary with each geographical area, UK 2-4 working days, Europe 4-7 working days, Rest of World upto 20 working days. The Soul Laundry is unable to provide any warranties in relation to the goods provided over and above its statutory obligation to provide goods of satisfactory quality in accordance with the Sale of Goods Act 1979 as amended by the Sale and Supply of Goods Act 1994. The Soul Laundry will use all reasonable endeavours to ensure that the website does not have any problems and that the goods displayed are available. However we cannot guarantee the availability of the website or that any goods on the site are in stock or available. In the case of an ordered item becoming out of stock, items will be allocated on a time-ordered basis and a full refund offered to all excess orders. In the event that an item on The Soul Laundry website is mistakenly listed at an incorrect price, The Soul Laundry reserves the right to refuse or cancel any orders placed for product listed at the incorrect price. The Soul Laundry reserves the right to refuse or cancel any such orders whether or not the order has been confirmed and your credit card charged. If your credit card has already been charged for the purchase and your order is cancelled, The Soul Laundry shall issue a refund in the amount of the incorrect price. 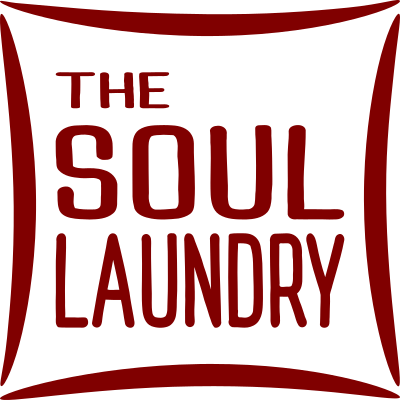 In the event that an item on The Soul Laundry website is mistakenly listed with incorrect attributes, The Soul Laundry reserves the right to correct at any time, and does not aim to mislead or coerce sales inappropriately. If a purchase is made based on false information, The Soul Laundry will issue a refund only if the description contravenes its obligation to provide goods with satisfactory description in accordance with the Sale of Goods Act 1979 as amended by the Sale and Supply of Goods Act 1994. The rights in the designs and content of this website are owned by The Soul Laundry and the Artists listed on the Soul Laundry website. They are protected by copyright and other intellectual property rights. You may not copy, reproduce, modify, distribute, display, post or transmit any part of this site without permission. All trademarks, product names and company names or logos featured on this website are the property of their owners. All products sold on The Soul Laundry website are verified by myself as the genuine article. Receipts and Proof of Purchase can be traced back to the artist. The Soul Laundry is confident you will be satisfied with your purchase. The Soul Laundry does not accept returns or exchanges unless the item you purchased is defective. If you receive a defective item, please contact me at julian@thesoullaundry.com with details of the product and the defect. Refunds do not include any shipping and handling charges shown on the packaging slip or invoice. Shipping charges for all returns must be prepaid and insured by you. You are responsible for any loss or damage to items during shipment. If you do have to return any item, kindly use a trackable system such as a parcel delivery or courier service, otherwise I can not guarantee that I will receive your returned item. Shipping and handling charges are not refundable. Any amounts refunded will not include the cost of shipping. All refunds will be processed in GBP. We cannot be held accountable to changes in exchange rates. If you have any problems with your order or wish to cancel your artwork please email me immediately to arrange a refund. Refunds and cancellations can only be provided prior notification of your order being shipped. These terms and conditions do not affect your statutory rights as a consumer. The Soul Laundry acknowledges that it is bound by the Data Protection Act 1998, the PECR (Privacy and Electronic Communications Regulations), and already complies to the GDPR (General Data Protection Regulation) which comes into affect from May 2018. It will not disclose your details to any third party without your express written consent. As a matter of good practice, I do not share any personal information with anyone and certainly will not sell it to others. For more information about our Privacy and Cookies Policies, please see Privacy & Cookies. The Soul Laundry website is constantly changing and these terms and conditions may be updated from time to time. The Soul Laundry reserves the right to change the terms and conditions without notice. In an attempt to provide increased value to our visitors, The Soul Laundry displays links to sites operated by third parties. However, even if the third party is affiliated with The Soul Laundry, The Soul Laundry has no control over these linked sites, all of which have separate privacy and data collection practices, independent of The Soul Laundry. These linked sites are only for your convenience and therefore you access them at your own risk. Gift Vouchers may be redeemed within 12 months of purchase, against all items on The Soul Laundry website. See Gift Vouchers for more information. All artwork dimensions listed on the website are intended to be as accurate as possible. However, sizes can vary from print to print. Please do not purchase pre-made frames in advance of receiving an artwork. We cannot be held accountable for any costs incurred. A deposit payment will reserve an artwork for you for 28 days. If you do not pay the remaining balance within this time period, then the artwork will be put back in stock, and you will be refunded. If you would like me to hold them for longer you must advise me, quoting your order number. The additional length of time for which we will hold your goods is solely at our discretion. Art will not be shipped until the full amount is paid for.